Last Friday @jonerp, @puneetsuppal and I had an interesting discussion on Twitter about SAP and Agile. 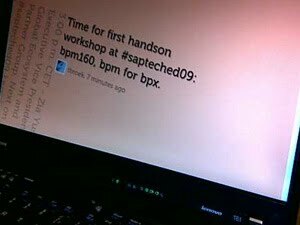 Trigger was my tweet on a visit to a large company with a centralized IT department. Need to start writing a "How To start with Agile in the SAP world" quickly. 0 more results since you started searching. Refresh to see them. puneetsuppal: RT @jonerp: RT @tbroek Agile + SAP. How to implement in a traditional company with a centralized IT department.>> New role for IT is needed! tbroek: RT @jonerp: @tbroek Is that the whiff of blog post(SAP+agile in centralized IT organizations)>> will write down first steps to do so. jonerp: RT @tbroek Got back from interesting discussion on Agile + SAP. How to implement in a traditional company with a centralized IT department. tbroek: Got back from an interesting discussion on Agile and SAP. How to implement in a traditional company with a centralized IT department. Thanks to @jpenninkhof for pointing out the advanced search at Twitter. 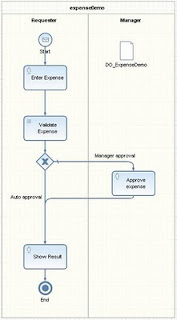 - Easy process implementation with SAP NetWeaver BPM. - Easy process implementation with SAP NetWeaver BPM / the BRM sequel. I was wondering how things have changed with SAP NetWeaver CE7.2. So I picked up the expense demo process again and reimplemented it in CE7.2. The differences are described in my SDN blog. 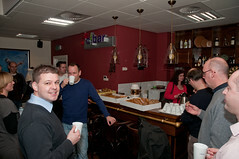 Saturday December 12th was the day the first SAP Inside Track in the Netherlands took off. 30 People gathered in Eindhoven to listen to and discuss with 6 different speakers. How about that? Thirty enthusiastic SAP consultants from 10 different companies join together to share thoughts and ideas on the SAP TechEd: The SAP TechEd XPerience. The borderless enterprise comes to live when the SCN community works together on an event like SAP Inside Track. Next? SAP Inside Track Bonn, February 20th 2010. Hosted by Tobias Trapp and Thorsten Franz. Read a detailed summary, with pictures, on my SDN blog. When you are a frequent visitor you can clearly see the increments in SAP products. Besides the hands-on training and the latest roadmaps, SAP TechEd is also a great event to actually meet all the SDN/BPX bloggers, co-tweeters and SAP Mentors. Here the collaboration of the future is composed, beyond company borders within communities formed by people of the same mind. Read a detailed summary on my SDN blog.